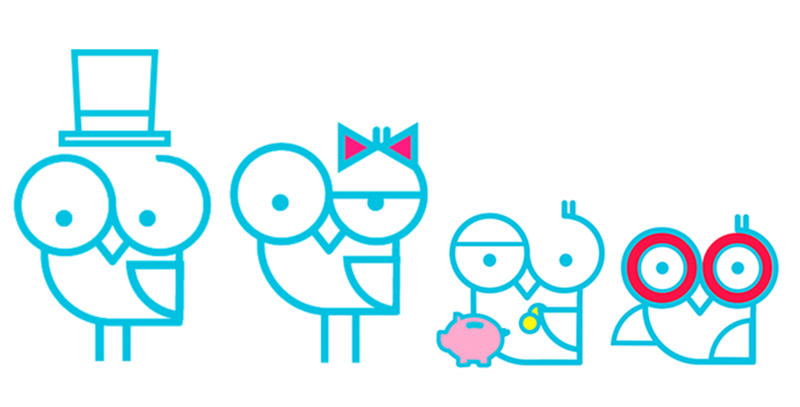 We are founded on the belief that kids who are early savers will be lifetime savers. And the research says so too. We're on a mission to make kids financially healthy and all-around happy, because saving money is not only important – with Goalsetter, it’s also fun. Our Founder went from being an Executive at Nickelodeon to helping kids and families learn how to save money. Because, more than anything, she wants every kid to have a shot at a great life - not just those whose parents are Financial Whizzes or Wall Street Bigwigs. Become a part of the movement of kids, parents, aunts, uncles, grandparents, neighbors and friends who are saying “No” to useless spending and saying “Yesssss!” to teaching kids how to save for things that are important. Their job titles are much fancier than ours. Tanya Van Court is the CEO and Founder of Goalsetter – the best platform for helping kids and families save for things that are important, and simultaneously develop healthy financial habits that will last a lifetime. Tanya has 2 degrees in Industrial Engineering from Stanford University, and spent 15 years launching new products for companies like ESPN and Discovery Education. As the daughter of two elementary school teachers, Tanya’s passion is helping kids to learn, and ensuring that all kids have an opportunity to be successful in school and in life. 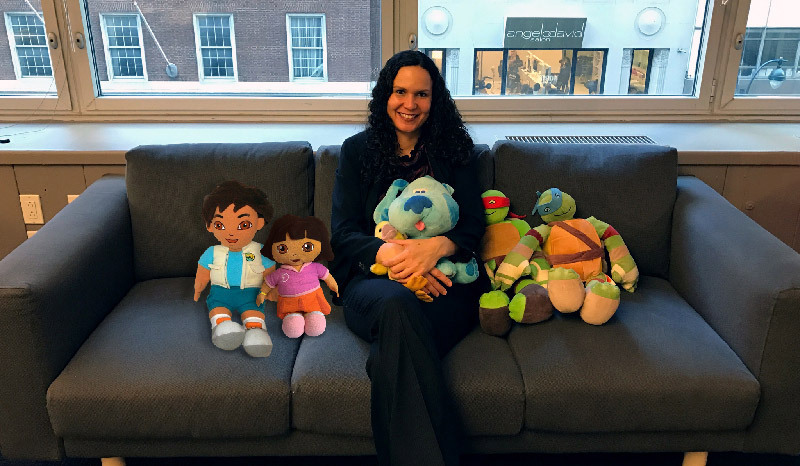 Prior to founding Goalsetter, Tanya led Nickelodeon’s Digital Preschool and Parenting Division, where she was responsible for NickJr.com, and routinely hung out with Dora and Spongebob. Goalsetter was named the winner of the People’s Choice Award at FinCon, one of the largest Financial Technology conferences in the country, and has been recognized in countless publications, blogs, and parenting circles as an awesome (and fun) way to teach kids the power of saving. Dana is the Manager for Customer Success and the first face you see when you come to the Goalsetter website. She is the virtual - yet real - person asking "Can I help you with something?" because whenever our customers have a problem, she is committed to helping them solve it. Dana has a degree from Columbia University in Economics, so understanding the way that money impacts communities and people's lives is who she is and what she does. Gustavo is the brains behind making sure the Goalsetter technology is both smooth and seriously secure. He's also the heart behind ensuring that what we do is not just about technology - it's about going the extra mile and a half for our users. Gustavo wishes he had Goalsetter when he was a kid, so he's dedicated to making the user experience great for the kids who are lucky enough to start saving for their goals before they hit 25. Chad started his career as a Veterinary Doctor, but is now the Chief Technologist at Goalsetter. Chad began coding when he was 12, and is committed to ensuring that every Goalsetter customer has an efficient and easy way to save for the things that matter most in life. "I love that Goalsetter is helping to transform financial health for the next generation of kids and families." "Goalsetter helps kids of all ages learn to save money with purpose - whether their goals are big or small; near or far; for themselves or for others." "Goalsetter is a fun and easy social savings platform that lets friends and family help the kids they love save for things that matter (instead of buying more stuff that doesn't.)" "Research shows kids who have savings accounts in their names are 6 times more likely to go to college than those who don't. Opening a Goalsetter Savings Account for a child can not only help instill good money habits, but hope for a brighter future, too"
"By introducing kids and families to the concept of "Auto-Save" early in their lives, Goalsetter has the potential to change a kid's entire future." Ready to put your kid’s future on fleek?